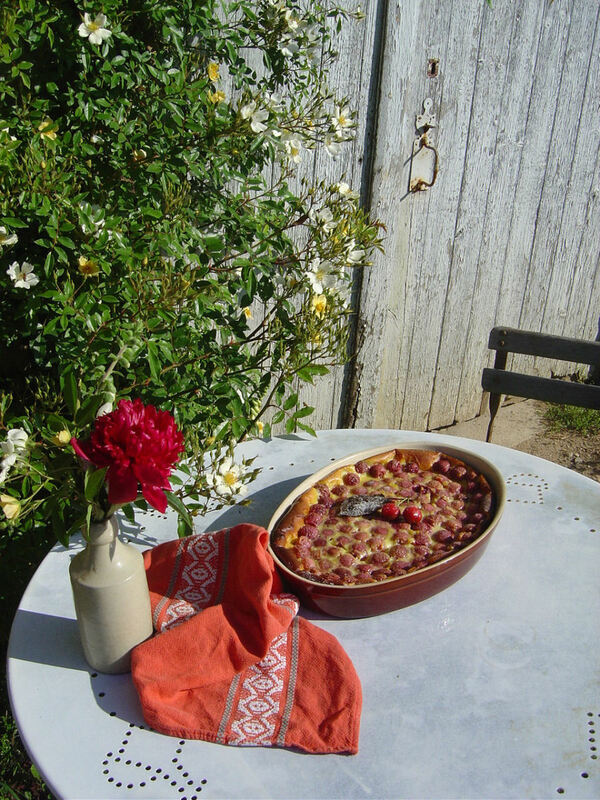 Sometimes life really does seem to be a bowl of cherries in Limousin, this hidden corner of rural France! It's June, the sun is shining, wild flowers line the country lanes, the woodlands and fields are green and the cherries are ripe. What could be better? This really is living the good life! 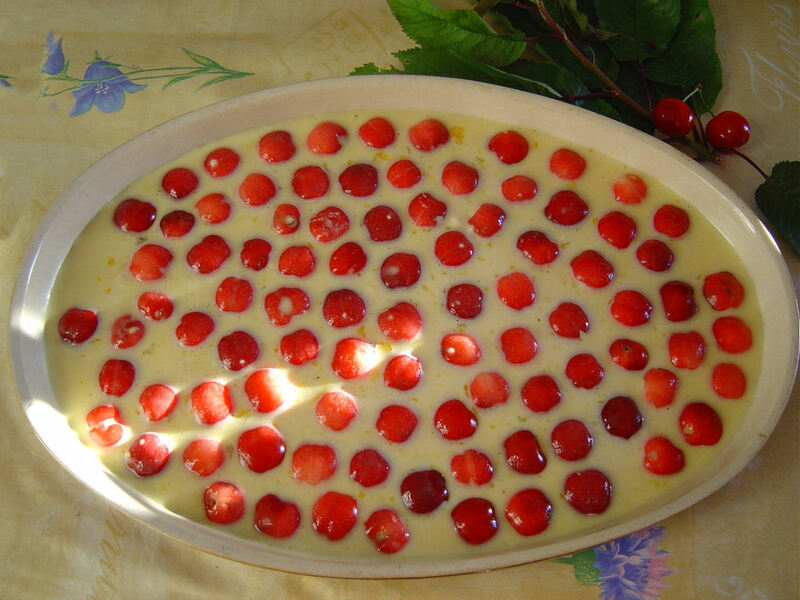 June is the time to make that most traditional Limousin dessert, Clafouti (or clafoutis). 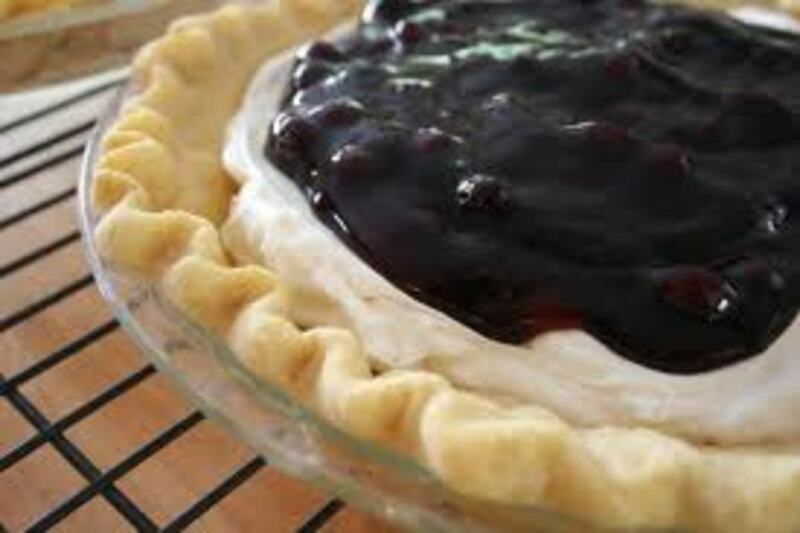 It is so simple - just a sweet batter poured over a layer of cherries or other fruit and baked in the oven. 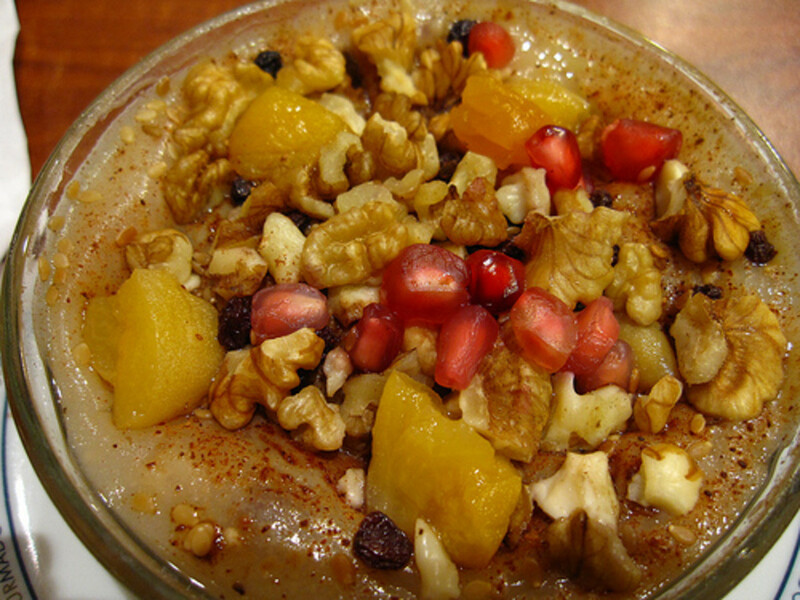 You can eat this dish as a hot pudding, or a cold dessert. Very similar to the Limousin flognarde, both calfouti and flognarde can be made with different fruits. "There's a significant body of evidence suggesting that cherries are one of the most nutritious fruits you can eat," said panel member Russel J. Reiter, Ph.D., a prominent nutrition researcher at the University of Texas Health Science Center in San Antonio. Along with all red fruits recent studies have shown that cherries are good for you. They contain antioxidants but cherries contain a unique combination of antioxidants that are not found in other fruits and they may have anti-inflammatory benefits which can give some relief from joint pain.Studies have also found that cherries can lower blood level cholesterol. Limousin, known as the bread basket of France, is famous for its fruit trees and especially for the Limousin Apple. We are blessed with a wonderful climate, warm to hot in summer but with enough rain to make everything, including the weeds, grow like mad! Not only are apples and pears produced commercially, but every garden has an array of trees that provide fruits or nuts from May to November. 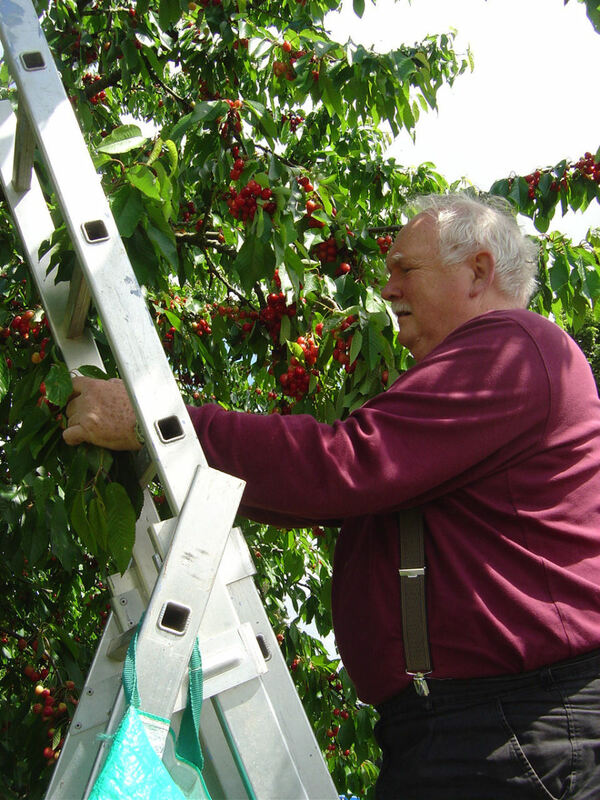 The first tree to fruit is the Cherry and the earliest varieties ripen at the end of May. Picking can continue right through June. After that we have plums, peaches, apples, pears figs and then, finally, the medlar which is harvested after the first frost of November. Bake until just firm to the touch. Lightly grease the dish and cover the base with a layer of cherries. 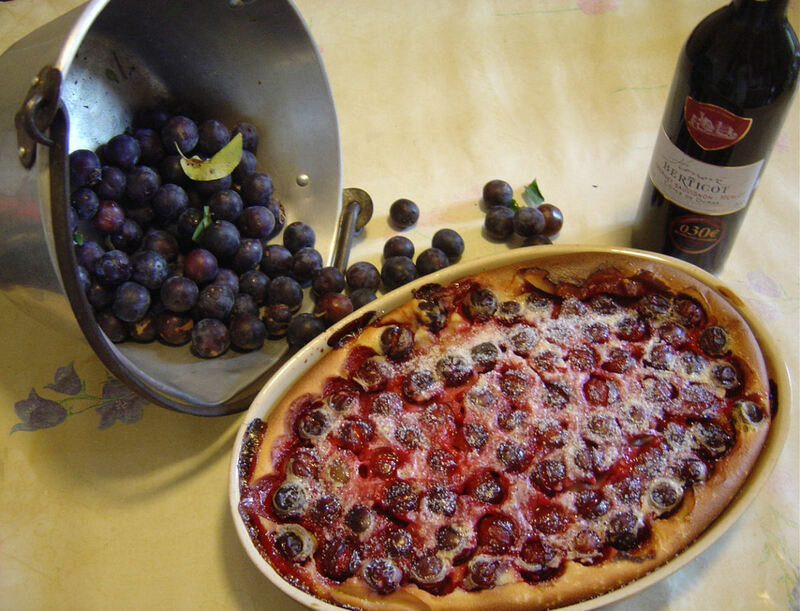 Here the local ladies don't stone the fruit - you have to do that as you eat the clafouti! Put the flour and sugar into a bowl (reserve a dessert spoon of sugar for later). Make a well in the flour mixture and add the eggs. Begin to incorporate the eggs into the flour by mixing from the centre and letting the flour fall in from the sides of the bowl. As the mixture thickens, gradually add the milk. As with all batter mixtures, the aim is to make a smooth batter without lumps. If lumps do arrive, squash them against the side of the bowl and, if all else fails, sieve the mixture to remove any lumps! Bake in a moderate oven, 375°F, 190]c or gas mark 5 for about 45 minutes to an hour. The dish is cooked when the centre is just firm when you press lightly with your finger tips. 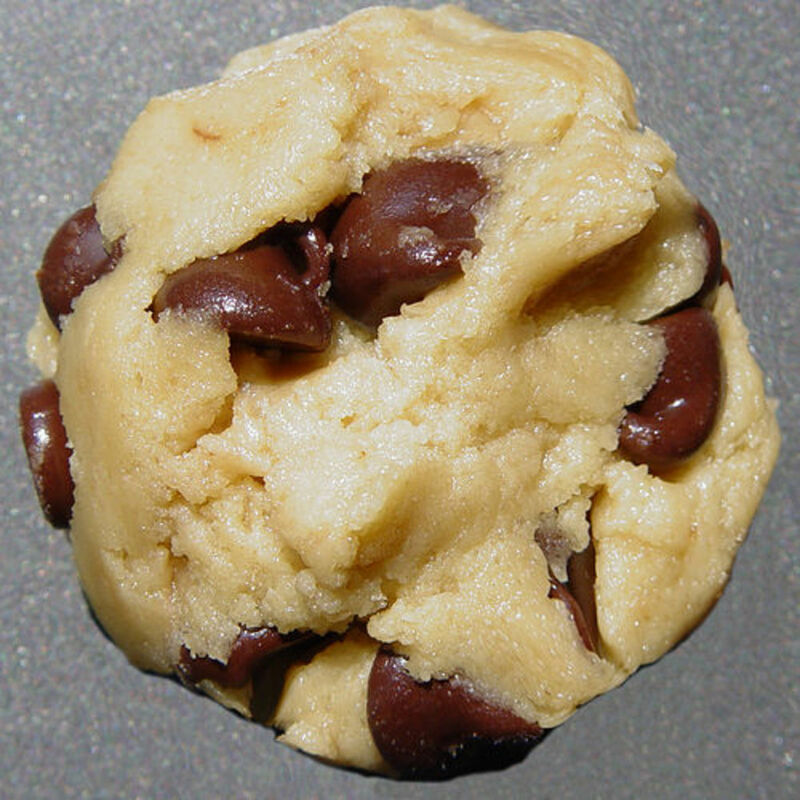 The top should be golden brown and the edges rise slightly. 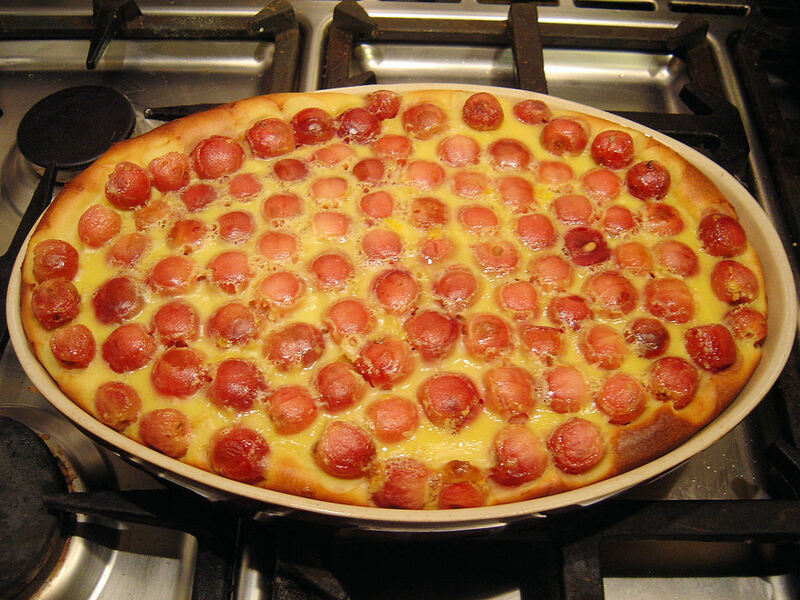 Sprinkle over the rest of the sugar, or you can dust with icing sugar, then serve clafouti as a hot pudding, a cold dessert or as a cake. 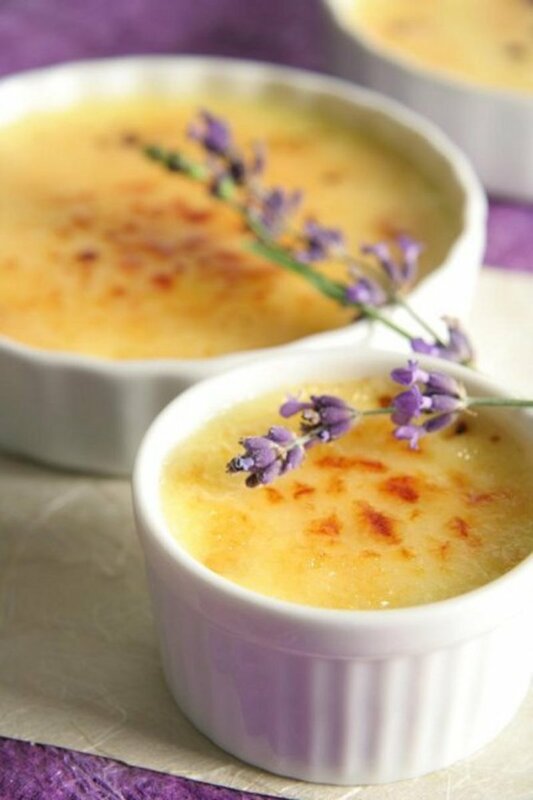 Hot or cold it goes well with cream, crème fraiche or custard (the French call custard Crème Anglais). It also goes well with ice cream, or just eat it by itself. 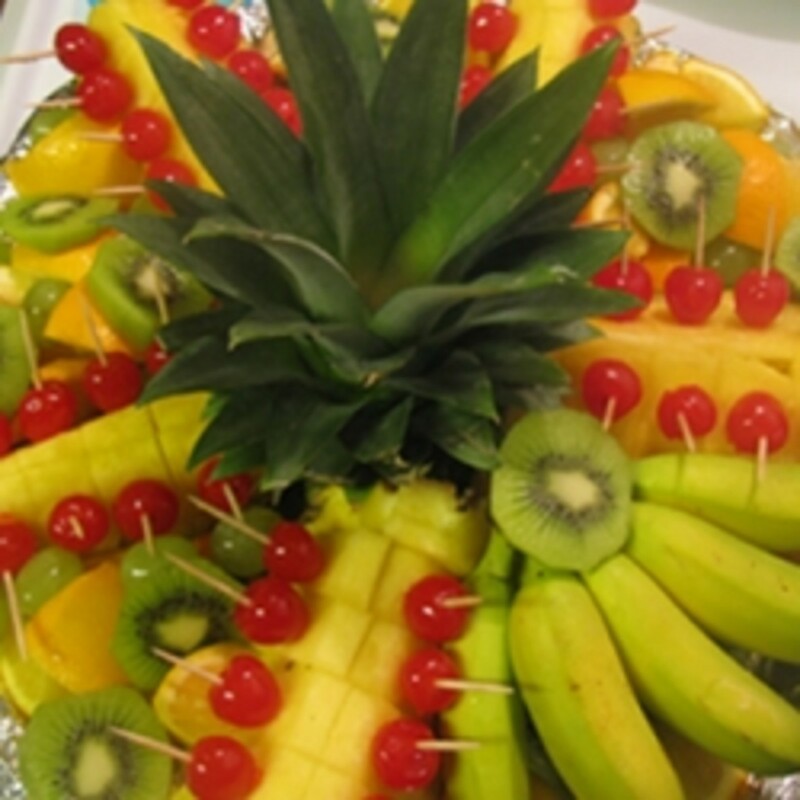 You can decorate it with fresh cherries or with sugared cherries or flowers. Sugared flowers are easy to make and look pretty on the plate. These photos were taken in our gardens at Les Trois Chenes Bed and Breakfast in Videix, Limousin, France. There are over 1000 types of cherries, but they fall into two categories: sweet and sour, although there are also dual purpose cherries. I don't know what type of cherries we have in Limousin, but I do know that they are very different! Our neighbours' tree in the picture is much earlier than ours, but in our garden we have a yellow cherry that grows very big and fat. We also have a small, black cherry that has sour fruit - we leave that tree to the birds! The tart black cherries are most often associated with clafouti and these sour cherries are higher in vitamin C and beta carotene than the sweeter varieties. 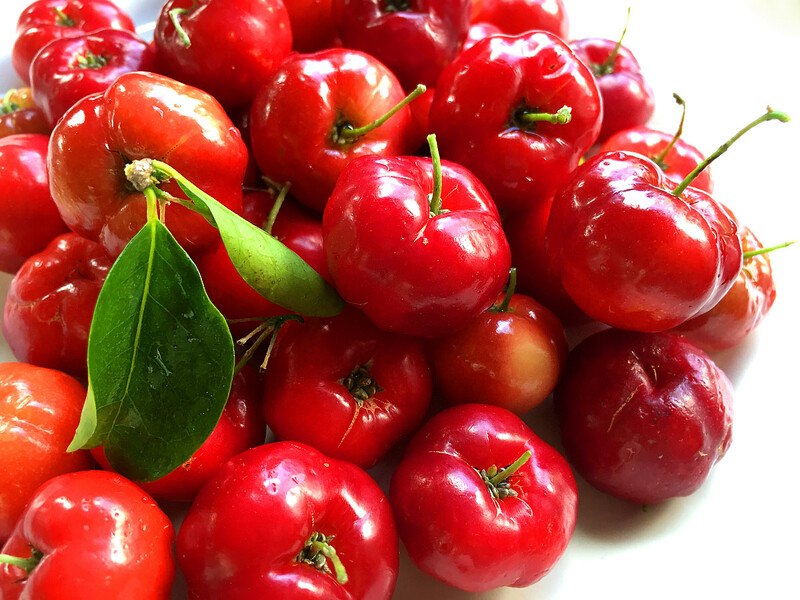 Whether you buy your cherries or pick them yourself make sure your cherries are: firm but not hard, shiny, firm and plump with fresh stems and unbroken skin. They should not have soft, brown patches or show any signs of mould. 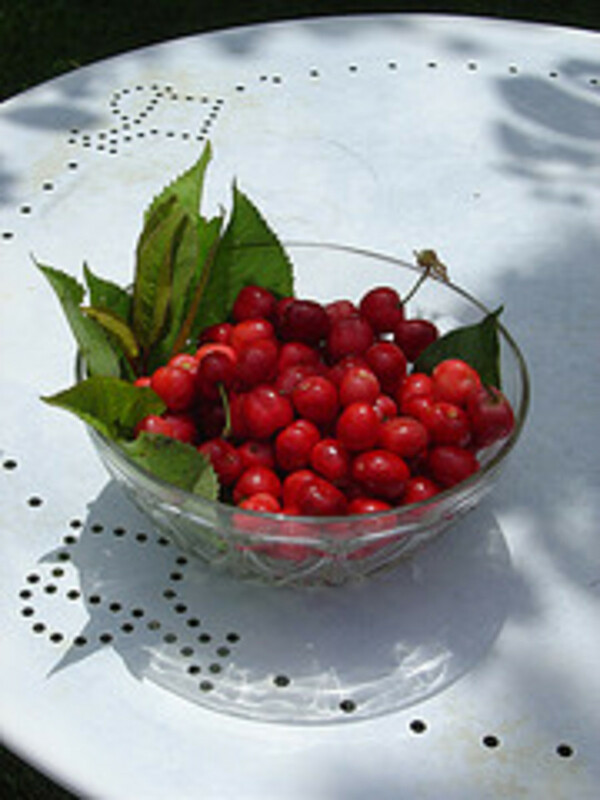 If you intend to keep your cherries for any length of time, leave the stem on the cherry as it helps to preserve them. 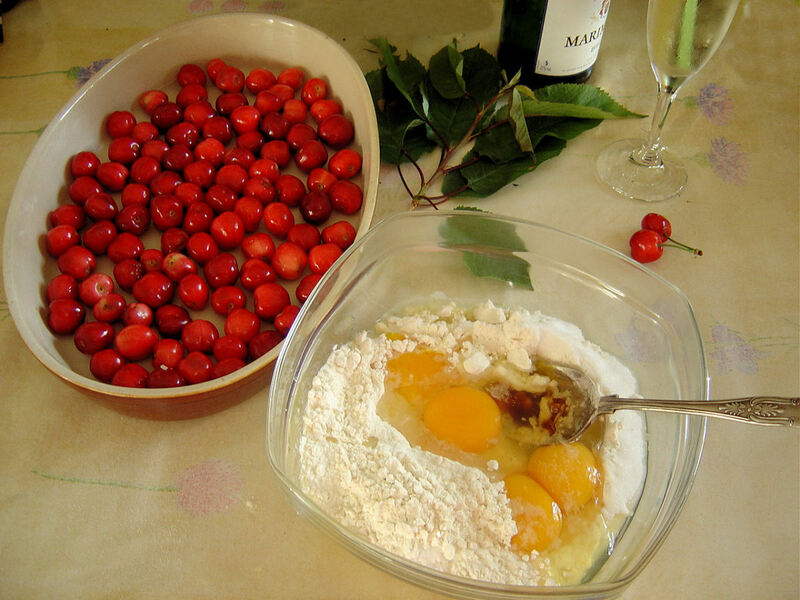 Frozen cherries are ideal for making Clafouti. Keep the stems on and spread cherries in a single layer on a baking sheet. Freeze until firm and then pack into plastic freezer bags. Remove as much of the air as possible and fasten tightly. Leave in the freezer until needed. 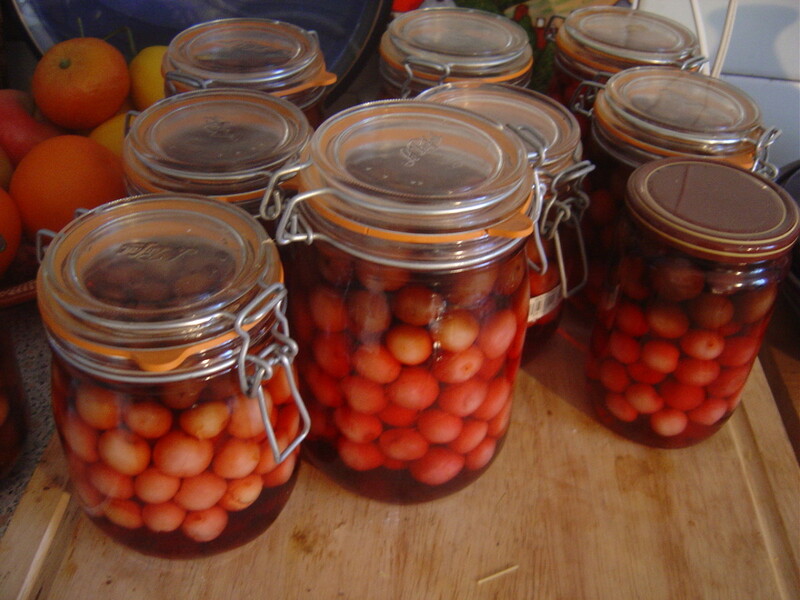 Other methods of preserving fruit include pickling, making jam, bottling in alcohol or syrup. 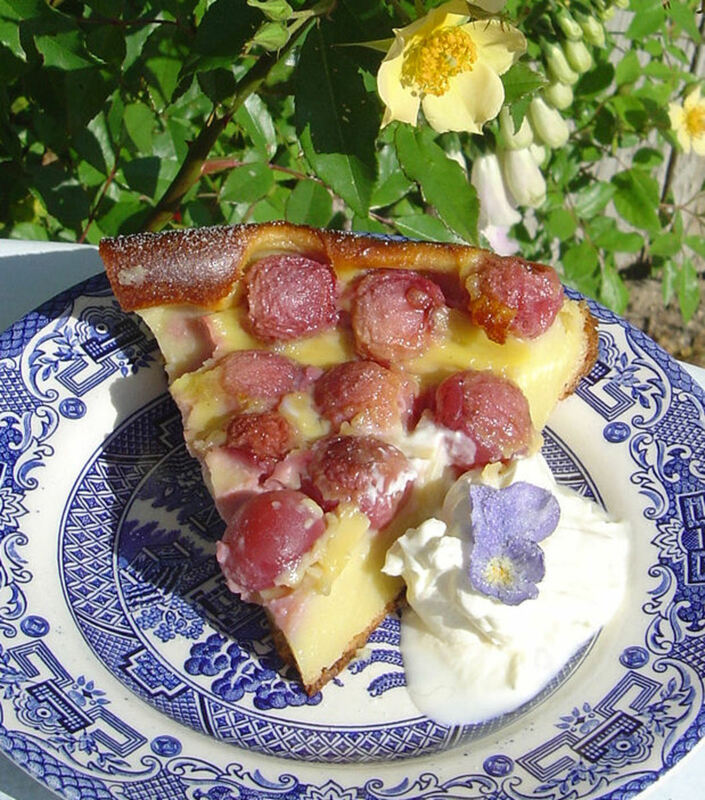 Cherry Clafoutis gifts - nice as pie! 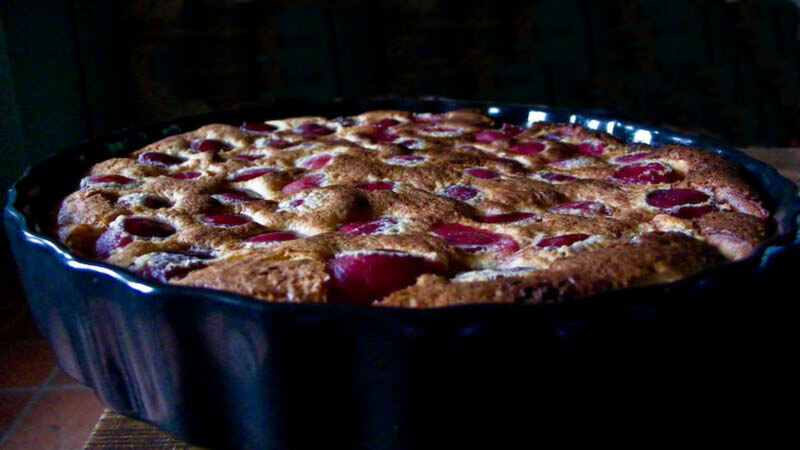 Is this cherry clafoutis recipe a winner? 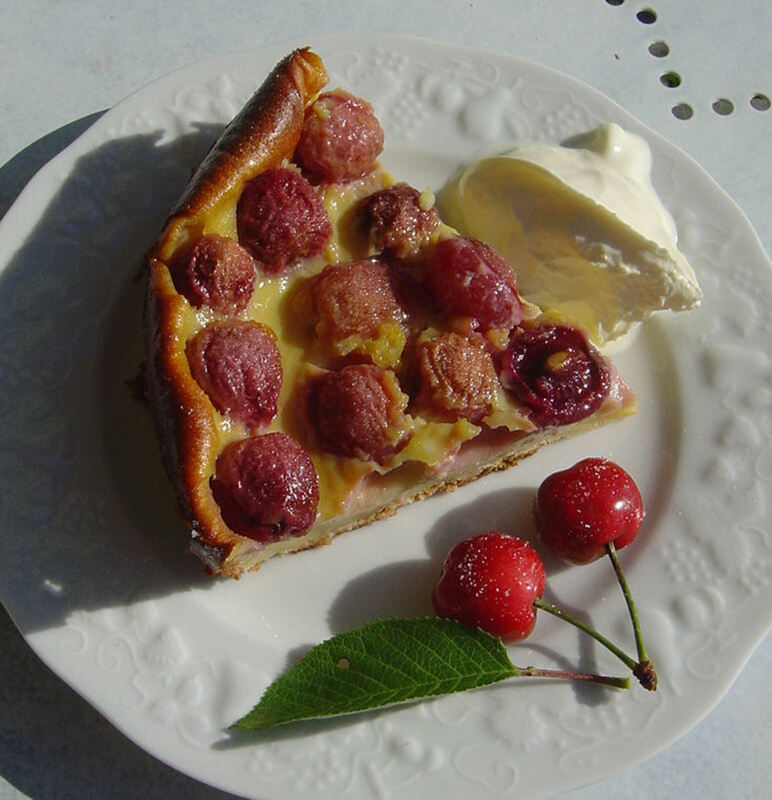 Try flognarde, another Limousin speciality, and very similar to Clafoutis, but with apples. Les Trois Chenes Bed and Breakfast, holiday cottage and painting holidays, hidden deep in the heart of rural France. Holiday Guide to the Limousin region of SW France. Leisure and sports activities, guide to the lakes and rivers, fishing information, golf courses, theme parks, and links to other Limousin websites. Will you be stopping by for a bite of the cherry? Oh Yes, I'm on the next plan! 'Fraid not, but I'll give the recipe a go right here! I'm afraid I would just wolf it down! Thanks for your message, amazingbaker. Many thanks for leaving a message. Cherries are an important crop here in Limousin and they are gorgeous, aren't they. I always love it when the things you like turn out to be good for you too! 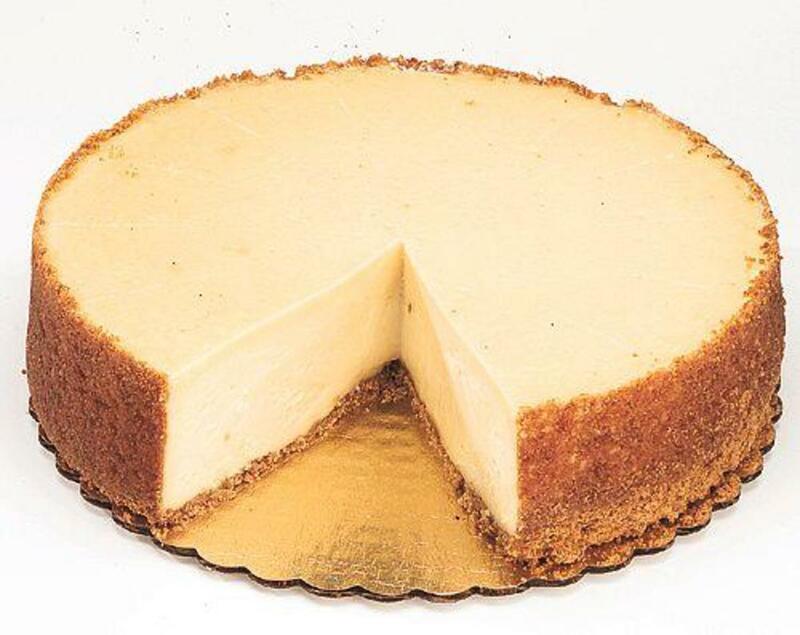 Les Trois Chênes, What a delectable, delicious, delightful dessert! Cherries are among my favorites too. So it's great learning fun to read about one of Limousin's scrumptious food crops. In particular, I like the way that you situate the cherry within the wider cultural context, and especially in terms of such health concerns as presence of antioxidants and control of cholesterol. Rainbowruffles, thanks so much for leaving this link, I'm going to have a look! I love cherries in desserts. Below is one of my favorite recipes, "Cherry Yum Yum". Its absolutely delicious! Thanks, Ben, hope they enjoy it. I always like recipes that always workout! Only one small point, je suis une 'soeur'. Send them down to Limousin next time! Voted up, awesome and beautiful!!! Well done mon frere! This will be the secret recipe to celebrate with my father in law and his girlfriend who just got back from Paris and Champagne. Looks absolutely great, delicious, I might try with black cherries (supposed to be good for my gought, haha) thank you for this again. I also enjoyed your map, it's good to see where people are coming from. I wish my printer worked so I could print this write now, ah well such is life. This is such a wonderful article about cherries and the pictures make it more beautiful,there is every thing that some one would want to know about cherries.Thanks for sharing. Interesting. I am looking for something to make with the cherries I bought. Your recipe sounds great! Merci à vous Om Paramapoonya! The finished Clafouti also freezes well - I forgot to add this.